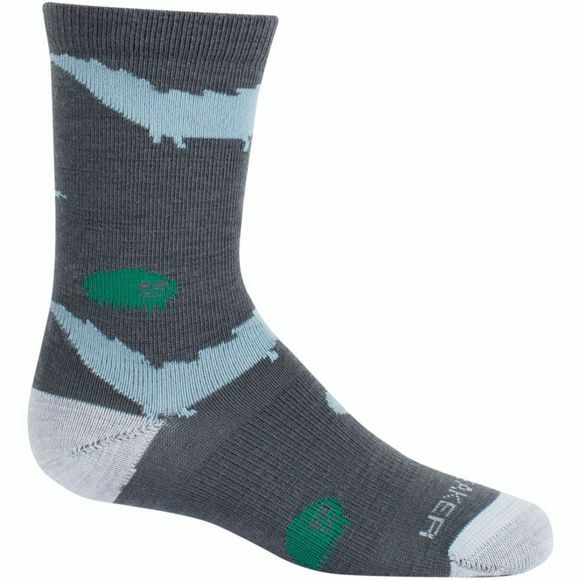 The Boys Lifestyle Ultra Light Crew Sock from Icebreaker is a do-it-all merino wool sock with a soft stretchy design and fun kids pattern, the Lifestyle Ultralight Crew Socks are the perfect warm-weather everyday socks. These ultra-lightweight kids’ socks feature a soft and highly breathable blend of merino wool and nylon, with a touch of Lycra added for active stretch. Reinforced areas in the heel and toe hold up to hard wear and repeated washings, while a breathe zone over the forefoot helps keep their feet cool and comfortable on hot hikes and warm walks to school.